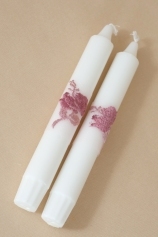 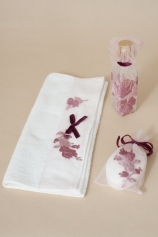 Christening set for babies, decorated with diaphanous lace embroidered with delicate flowers and a pretty velvet bow. 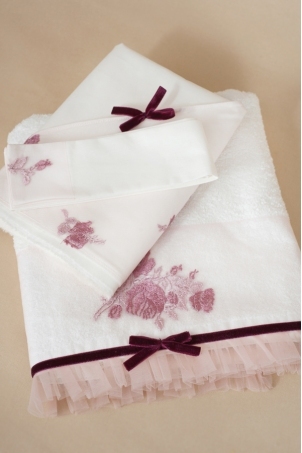 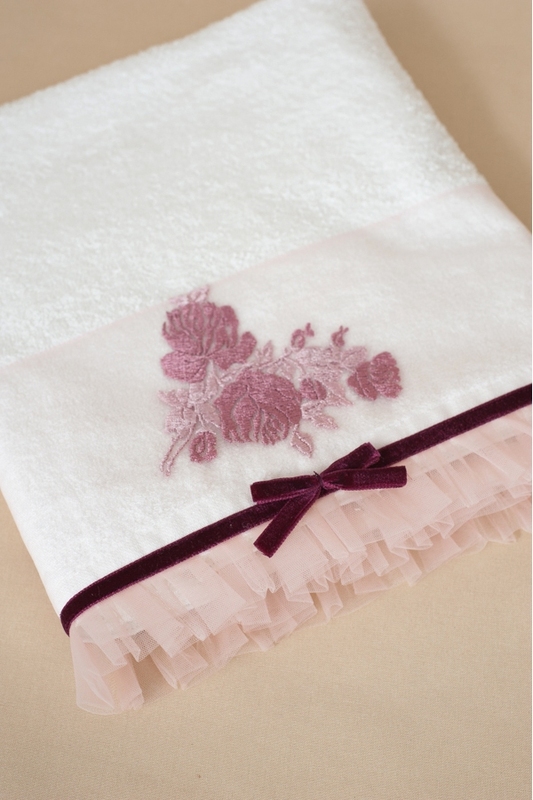 The set contains a large towel, an unhemmed oil sheet and a swaddling ribbon. Color: ivory, shades of pink and burgundy.